The Arnold Sports Festival is one of the biggest sport events of the calendar, bringing together everyone from bodybuilding and boxing to tennis and chess. The weekend’s line-up of popular vendors comes courtesy of The Food Truck Park™ who have ensured festival-goers looking to indulge in their next cheat meal will have plenty of tempting options. 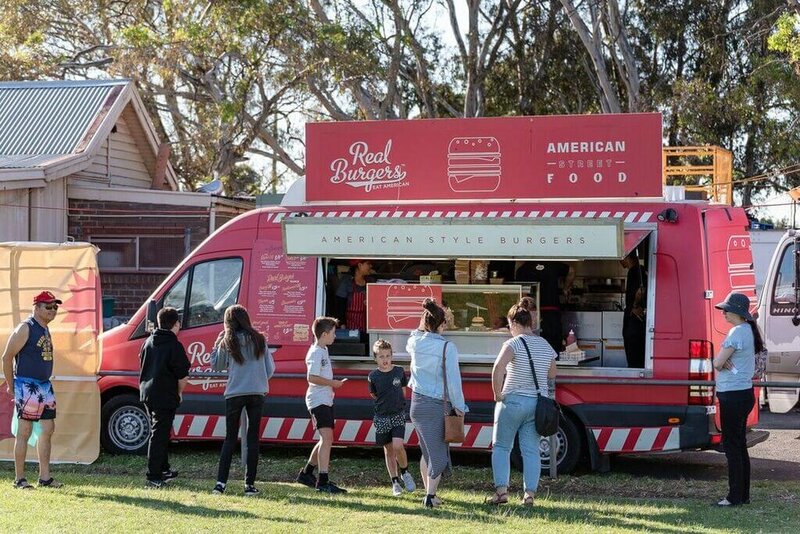 The guys at Real O.G Burgers will be flipping their tasty burgers and cheesy loaded fries, traditional yiros will be courtesy of Greek Trojan Yiros, while Wedgies Food Truck will be adding a Middle Eastern touch to the humble wedge by loading them with falafels, yoghurt, hummus and cucumber. Dessert will be taken care of by Manny’s Doughnuts. For those not so keen on straying from their protein-packed diets, there’s Donugs – the savoury counterpart to the universally-loved doughnut. 90 per cent protein and 100 per cent organic, the round chicken morsels are covered in crispy panko crumbs and topped with your choice of a cheese or curry sauce and chilli. Making up the rest of the line-up will be vegetarian favourites Man I Love Falafel, banh mi, spring rolls and bao from Wrap It Roll It, gourmet meats from The Meat Co. Truck, fresh seafood from For Reel Fish and Chips, and perfectly marinated wings from Wingsters. Curry Up Now and Hanky Adams will be there Friday and Saturday and Billy Van Creamy just on Sunday. All other food trucks will be at the festival each day, from March 15th- March 17th.